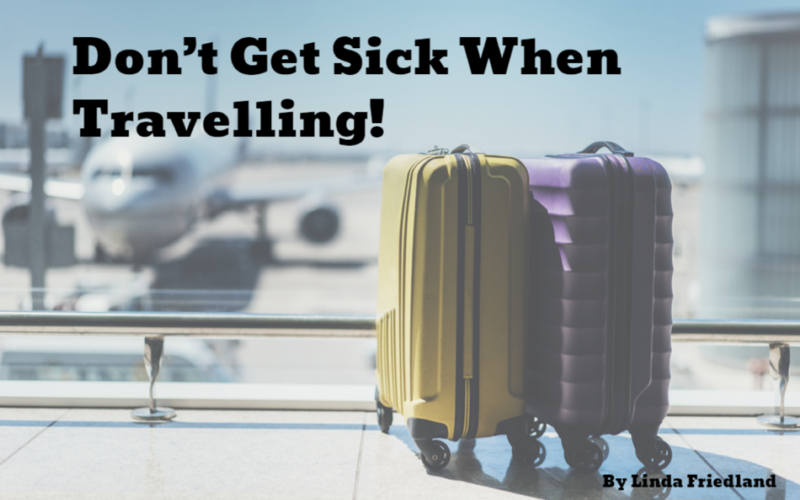 Don’t Get Sick When Travelling! April is the best time for traveling, not cold, nor hot, just warm and comfortable. You may be in the middle of planning a much anticipated leisure trip. Alternatively, you may have a business trip, for which you quickly pack your small bag and laptop and dash off to the airport. Either way, the last thing on your mind is how to best maintain your health through the journey. The chances are that you have not considered your health at all. You may have given a moment’s thought to the unwelcome jetlag awaiting you on the other side. But alas, jetlag is just one of many possible health concerns. Regrettably, with frequent travel, the odds are stacked highly in favor of your not feeling well either during your trip or when you return. And even if you don’t actually catch something your health is certainly compromised. Scott Cohen from the University of Surrey and Stefan Gossling from Lund University, Sweden recently published a paper titled “A darker side of Hypermobility” (Environment and Planning, Sage Journal) in which they aggregated the data from 15 years of major studies on frequent travel. It’s no secret that traveling is very hard on your immune system. In fact a recent survey by World Access, a travel insurance company, estimated that 35% of business travelers become ill while on the road. If you think about it, it is quite daunting to be onboard together with 200 strangers for anything from an hour up to 18 hours, all sharing the same couple of toilets, all the while breathing the same re-circulated air. Moreover for those hypermobile business travellers (14 days or more travel a month) , there is a wide range of physiological and mental consequences that are often overlooked, because being a ‘road warrior’ tends to get glamorized,” explain Cohen and Gossling. “Frequent flying can lead to chronic jet lag, which can cause memory impairment and has been linked in studies to disrupting gene expression that influences aging and the immune system, and increased risk of heart attack or stroke,” says Cohen. If aging faster isn’t scary enough, it turns out that frequent business travelers are exposed to more radiation than is considered healthy. “Radiation exposure is hundreds of times higher at high altitude than at ground,” says Cohen. No matter if you’re in Economy or First Class, everyone on a long-haul transatlantic flight is breathing the same re-circulated air. Not only does this expose frequent business travelers to germs more often, the jet lag and general tiredness from running to and from airports “can even switch off genes that are linked to the immune system,” Cohen notes in his paper. This means frequent travelers are not as well equipped to fight off disease as people who travel less frequently. “The disruption of the circadian rhythm from jet lag affects mood, judgment, and concentration for up to six days,” says Cohen. For most of us as intermittent travelers, we are not at this extreme risk for a long- term damage, but it still takes a physical and mental beating whilst on board and thereafter. For any trip, it is wise for us to implement a healthy travel method to prevent illness, to optimize our wellbeing and boost our immunity before, during and after our trip. Here are the five best strategies! 1. The day before is essential: Most of us are engaged in last minute packing, preparing for a presentation, and tying up loose ends. We stay up later and get up earlier in time to board the plane with half the sleep we normally get. Sleep is crucial for a strong immune defense. We erroneously convince ourselves that we will sleep as soon as we get on board and we begin this long journey already with a sleep deficit. We should in fact aim for the opposite — try to get to bed an hour or two earlier the night before and build up extra reserves. A very useful strategy is to do your very best to pack, prepare for the trip and wrap up all details two days before traveling. Make of list of everything that needs to get done a few days prior to departure and get started on it a day sooner they you think necessary. Be disciplined about ensuring an especially good night’s rest, which will help boost your immune system for traveling. Don’t forget to continue taking your Wayal supplements especially your Immune boost and Resveratrol. Drink lots or water before, during, and after flying. Dehydration contributes to your fatigue and listlessness. An essentially unknown factor is that your nose is a key element in your immune defense system and when it is very dry, there is less of a protective barrier. It is a good idea to bring along a nasal spray to hydrate nasal passages. Alcohol on board is not a good idea. 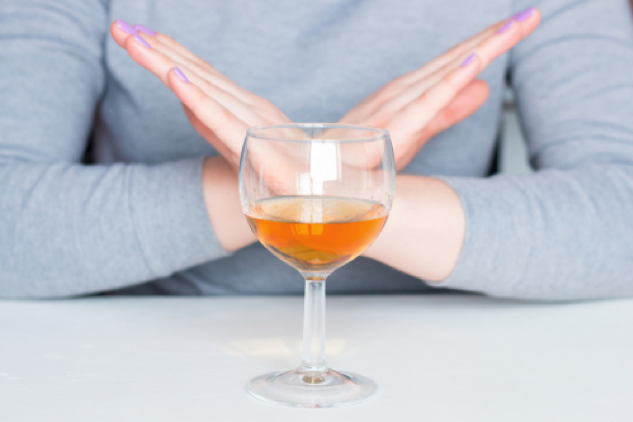 Although it is so tempting to have a lovely glass or two of wine on a long haul flight, the alcohol dehydrates you quite significantly. 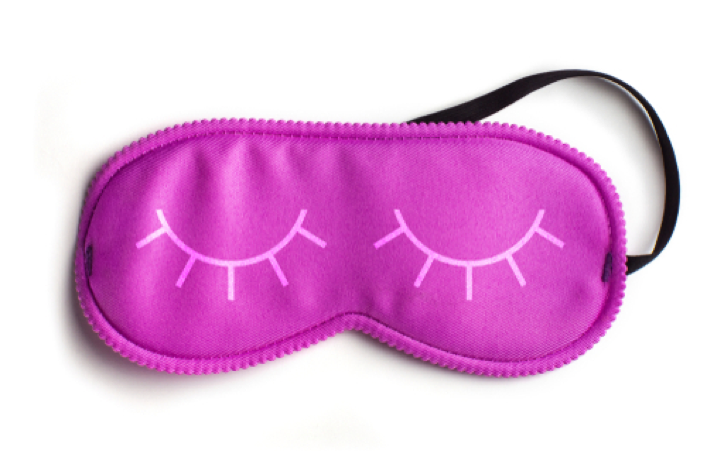 It heightens irritability, interferes with sleep cycles and circadian body rhythm and compounds jetlag. Most of the illnesses we catch on board are viral upper respiratory infections. 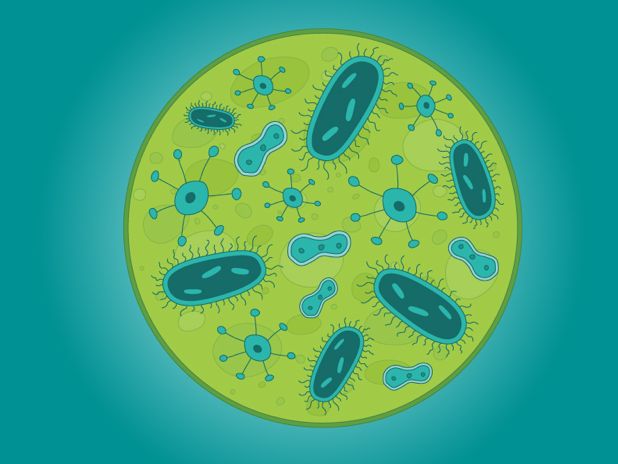 Transmission of viral particles is almost entirely from droplet spread from nose and mouth to hands. To catch a viral infection, all that’s needed is to touch a surface that someone else (with a cold) has touched. Wash your hands frequently and carry a small hand sanitizing solution or a pack of cleansing wipes especially before eating. Unless they are sealed in plastic, avoid the airline pillow and blankets. They are crammed with other people’s germs. Many experts suggest taking extra vitamins such as Vitamin C and probiotics. 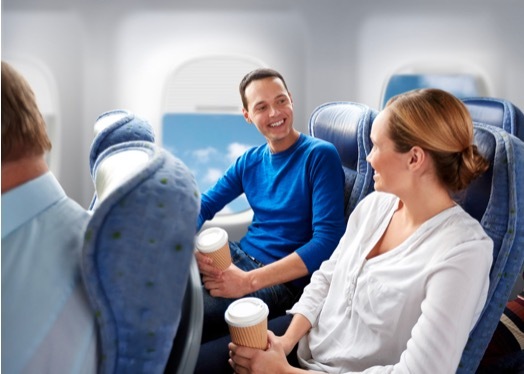 Albeit infrequent, Deep Vein Thrombosis ((DVT) is a concern for travellers over long distances. DVT is a condition in which a blood clot forms in the inside of a “deep vein” (one of the veins surrounded by powerful muscles that pumps blood back to the heart). The clot can grow in size and obstruct circulation or break-off and cause a pulmonary embolism, resulting in serious illness and, possibly, death. Dr. Jack Hirsh of the American College of Chest Physicians in the report on DVT from flying or ‘economy class syndrome’, suggests that “Although only certain individuals are at high risk, we strongly advise all our patients travelling on flights of more than six hours to take the necessary precautions to prevent thrombosis.” Although originally called Economy Class Syndrome, due to the limited legroom, it can occur in any class of flying and has little to do with your personal space. The report recommends that we wear loose comfortable shoes and clothing, avoid dehydration, engage in frequent calf muscle stretching and that patients at high risk should use a compression stocking or even consider taking a low dose (80mg) aspirin but please check this first with your doctor. Stand or walk as much as possible in the airport, avoid moving walkways and escalators, and go for a quick walk while waiting for the flight to take off instead of sitting in a chair. Be sure to pack a pair of workout clothes and go for a run or walk outdoors when arriving at your destination or the following day. 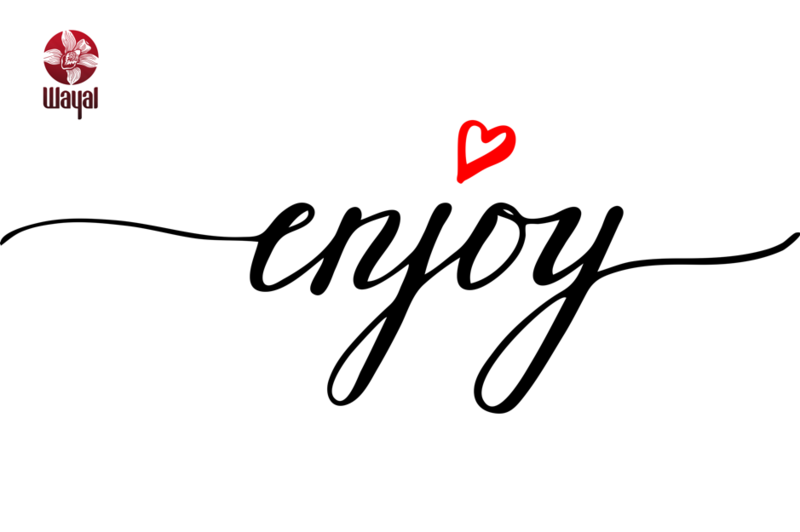 As your plane roars down the runway, sit back, relax, slip on some snugly socks and begin your foot exercises, pull out your bag of high fibre nutritious goodies and enjoy the trip!